Each year, more people discover that Digby Neck is a great and unique place to live. 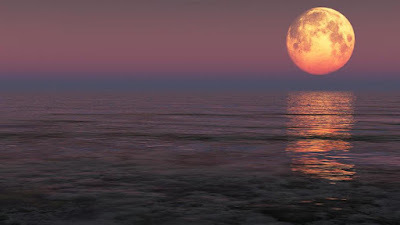 Among them are artists who find unlimited inspiration in the beautiful natural surroundings. So far this spring, we have had several new arrivals come in and say hi and tell us a bit about their craft. On top of that, we have some amazing talent that has grown up right here! We have several galleries and many artists (including ourselves) are more than happy to have visitors tour their studios. It has reached a point where we felt that we had the critical mass necessary to put on our own local art exhibition and sale. So if you are here in early August, stop by and see some amazing art and meet some of the local artists. You will see a fascinating diversity of mediums and styles and you may even be moved to take home "A Piece of The Neck"! 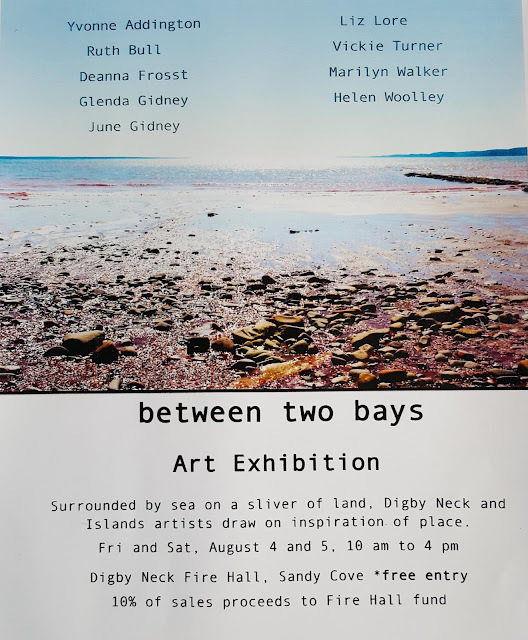 Vickie Turner, our resident artist will have some pieces there and if you want to see more, just drop by our studio/shop, The Artist's Mark, on your way out or back from Sandy Cove. You can't miss us- we're right on the highway. And if the tide is out, leave some time to walk the beach across the street and maybe find your own "treasure"! Each year there are new things to see and do on Digby Neck and more and more people are visiting for reasons other than the amazing whale watching. So if you are considering a Nova Scotia vacation this might be the perfect spot for your family to spend a few days. And when you come, stop by The Artist's Mark Studio/ shop where each visitor gets to choose their own free tumbled stone as a souvenir of this amazing area.